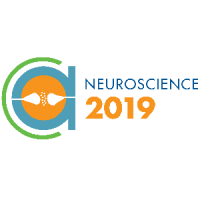 Now in its 15th year, MS&T hosts over 3,200 attendees, more than 2,000 presentations, a robust plenary speaker lineup, society based special events, and a collaboration among four leading materials science societies. 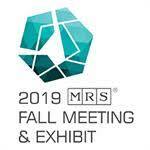 If you work in any facet of materials science, this is the conference for you. 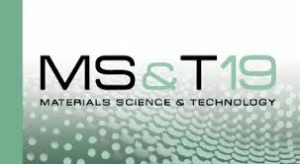 The MS&T technical program is unmatched, addressing structure, properties, processing, and performance across the materials community. 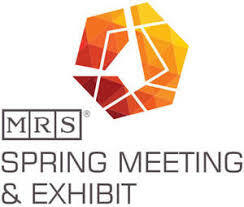 MS&T brings together scientists, engineers, students, suppliers, and business leaders to discuss current research and technical applications, and to shape the future of materials science and technology. In addition, the exhibition showcases a wide variety of equipment and services to the automotive, aerospace, instrumentation, medical, oilfield, and energy industries. And during your free time, enjoy all there is to see and do in host city Portland, Ore.